Critics of Los Angeles tend to reduce the city to a sprawling concrete jungle riddled with billboards and freeways and smog and too many people. 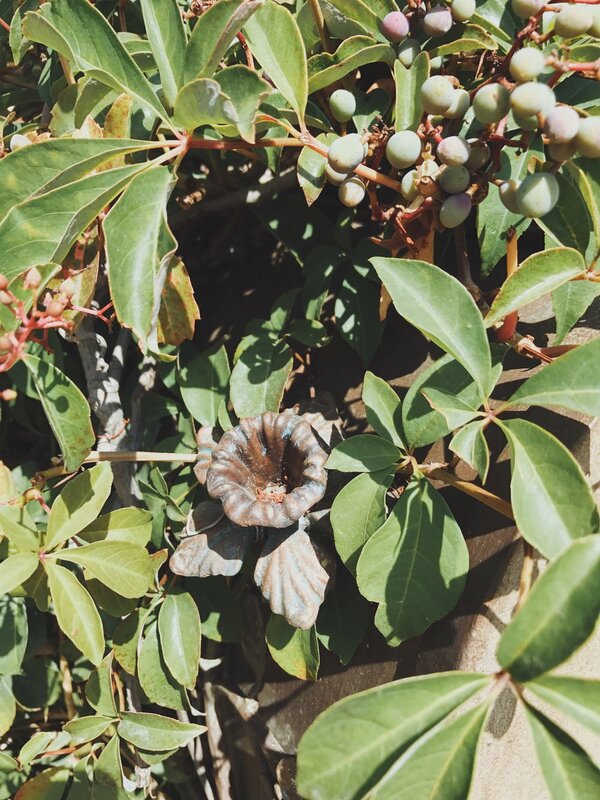 While LA can at times be all of those things, to us over here at Finding Lost Angeles, LA is an odd, fantastical urban landscape with incredible variety in its people, history, and architecture. For instance, imagine driving up and down the wide, manicured streets of Beverly Hills, only to happen upon a wildly overgrown and magical storybook cottage. No, you didn’t just stumble into a fairy tale or into the Twilight Zone. 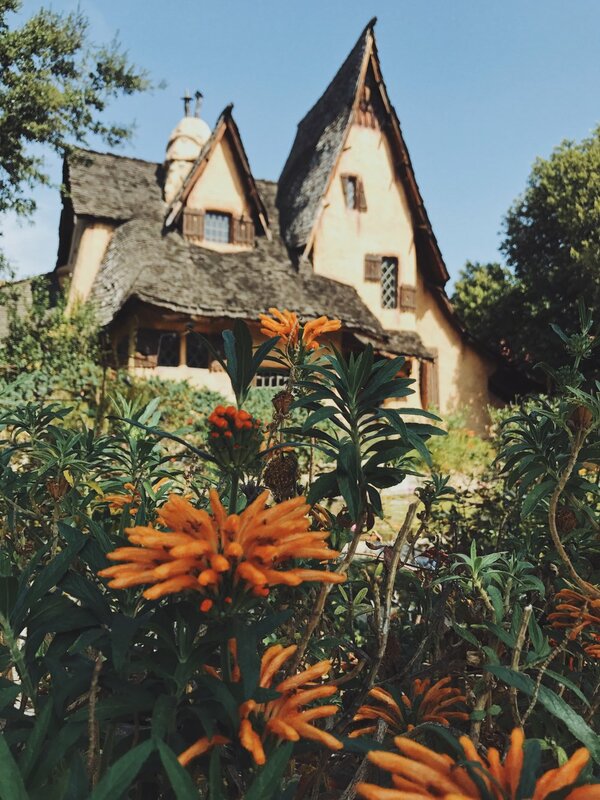 The “Witch’s House,” also referred to as the “Spadena House” (widely misspelled attribution to its early inhabitant, Louis Spadina) has been a beloved home and default attraction in Beverly Hills since being moved there in 1924. The house was designed by Henry Oliver in 1921 on the backlot of Irvin Willat’s film studio in Culver City, and initially used as an office and dressing room. Legend has it that so many drivers and passers-by would slow to stare and marvel at the building, that it became a traffic hazard, and the Culver City Police Department asked that it be removed. In 1924, silent film producer, Ward Lascelle, had the building moved to a plot of land in Beverly Hills and converted it into a home. Dates differ greatly in various accounts of the home’s history, but building permits support the 1924 timeline of the house being moved and converted into a residential dwelling. Some years later, Lascelle rented the house to Louis Spadina, who lived there for many years (a tenant, or perhaps a groundskeeper?) and eventually married Lascelle’s ex-wife, Lillian. Lillian and Spadina remained in the house together for several decades, and later sold it to the Green family in 1965. The house changed hands again to its present owner, Michael Libow, in 1998. The Witch’s House's owners have all worked over the years to protect and preserve the home’s history. Starting with the Lascelle/Spadina years, where an odd movie studio structure was moved, preserved, and converted into a home; to the Green years, where despite letting the property fall into disrepair, the family once considered donating the house to the Culver City Historical Society, and later, waited to sell the home to an owner who would preserve, rather than demolish it; and to the present owner, Libow, who worked tirelessly for years to restore the home to its full glory. It is fitting that Libow hired a film production designer, not unlike the home’s original creator, to help him concept the needed upgrades. The Witch’s House is an amalgamation of Los Angeles film history, and the budding and short-lived popularity of storybook style homes in the 1920s. While we were only able to view the exterior of the home during our visit, images and articles give us a good sense of the interior. Often described as a “fairy tale” home, the cottage boasts a steep gabled roof, purposely uneven shutters, and charred woodwork. The house is 3,700 square feet of pure storybook fantasy, including three fireplaces and a wine cellar. The exterior of the home was featured in the 1957 horror film, The Undead, and provides a perfectly eerie backdrop to this spooky story. 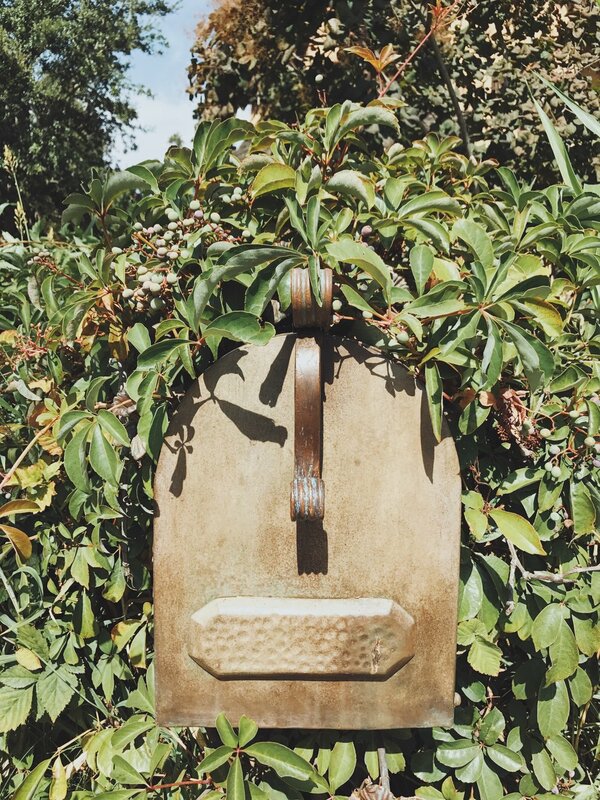 Today, the exterior grounds are in a word, magical; intentionally overgrown grass, odd and interesting plants, a spider web adorned gate—oh, and did we mention the moat? During the Green’s ownership, Doris Green would spend each Halloween dressed as the “Witch of Walden,” proudly handling out candy to trick-or-treaters. While the “Witch of Walden” is no longer, lucky little ones can still visit the enchanted home each October 31st to pick out their Halloween treats. The Witch's House is located at 516 Walden Drive in Beverly Hills and is listed on the Beverly Hills Register of Historic Properties. AARON BETSKY SPECIAL TO THE TIMES. 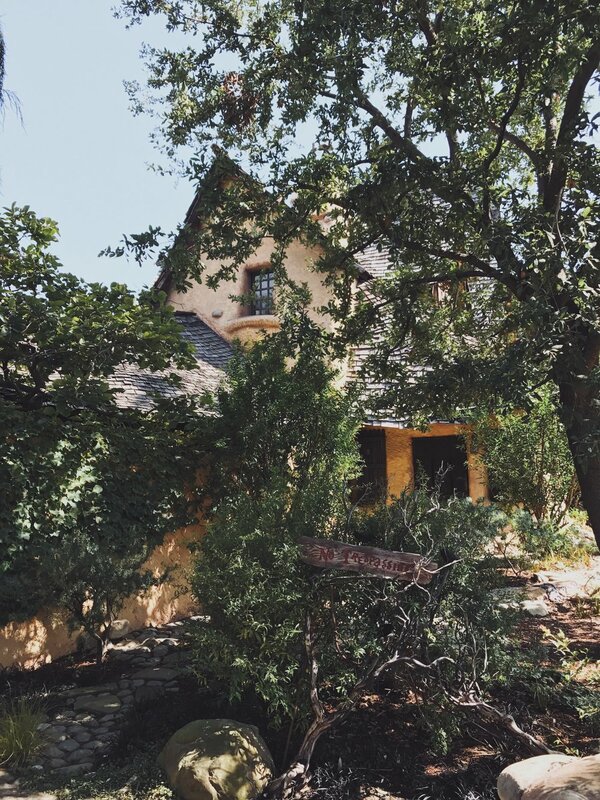 "The 'Witches' Cottage': A Realized Fairy-Tale Fantasy in Beverly Hills." Los Angeles Times (1923-Current File): 1. Dec 24 1992. ProQuest. Web. 1 Oct. 2017. "ART SEIDENBAUM." Los Angeles Times (1923-Current File): 2. Oct 24 1977. ProQuest. Web. 1 Oct. 2017. Gellner, Arrol, and Douglas Keister. Storybook Style: America's Whimsical Homes of the Twenties. New York, NY: Viking Studio, 2001. Print. Ito, Sheldon. "Good Witch of Beverly Hills to Take Famed Cottage Back to Culver City." Los Angeles Times (1923-Current File): 1. Nov 22 1987. ProQuest. Web. 1 Oct. 2017. Ito, Sheldon. "'Witch's House' Won't be Leaving Beverly Hills." Los Angeles Times (1923-Current File): 1. May 10 1990. ProQuest. Web. 1 Oct. 2017. Ostashay, Jan. City Landmark Assessment & Evaluation Report: Witch's House. Beverly Hills: City of Beverly Hills Community Development Department, Planning Division, January 2013. Print. "Real Estate Transaction 49 -- no Title." Los Angeles Times (1923-Current File): 1. Feb 08 1987. ProQuest. Web. 1 Oct. 2017. "Real Estate Transaction 51 -- no Title." Los Angeles Times (1923-Current File): 1. Feb 08 1987. ProQuest. Web. 1 Oct. 2017. Hobart, Christy. "Life Within a Fairy Tale." Los Angeles Times (1923-Current File): Jan 13 2005. Proquest. Web. 1 Oct. 2017.